The 3rd and final review on MadBull’s GemTech range. This is the third and final installment in the MADBULL’s licensed GemTech product series, although there is a rumor that Madbull is going to release the Blackside, so this could be a trilogy of four! So to find out more head on over to the readers review section of the forums to read more. This is a much better inner barrel. Made of Stainless steal 304. If you choice the brass barrel,that tolerance would be ±0.02mm even though making minimum.We choice the stainless making out the real tight barrel.So our barrel is the best accuracy. The magazine covers on the front page have been updated to reflect the latest issues. 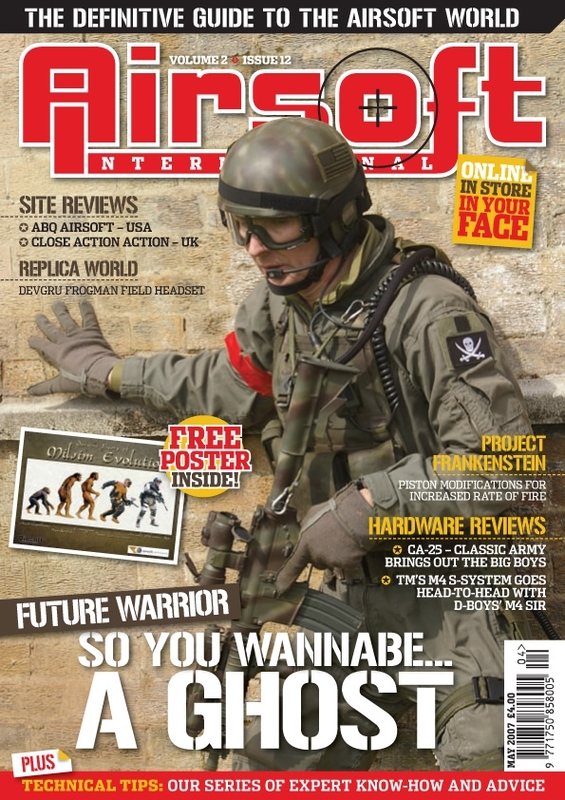 I’ve updated the covers for AI Magazine, AirsoftExtreme, NAM Magazine and Inside Airsoft. Still weighing in at 32 pages we have completely redesigned the graphic appearance of the ezine. Also changed is the double page view of the download to a single page view. Altogether a much more professional issue, the redesign has resulted in a much easier to read ezine. These changes have meant an unavoidable increase in the download size to just over 53MB, but I’m sure once you have a look you will know its worth it! Just would like to inform you that Classic Army newest aegs are now in stock and is ready for taking. Thanks and more power to Arnie’s Airsoft! Latest News from Airsoft Direct, including the new Airsoft International Magazine, STAY ALERT Caffeine Chewing Gum and some great prices on HFC Green Gas! Don’t forget that we also have March 2007 and April 2007 issues instock and ready to ship as well, all of which can be seen in our Airsoft International Magazine Volume 2 Section and in our eBay Store. 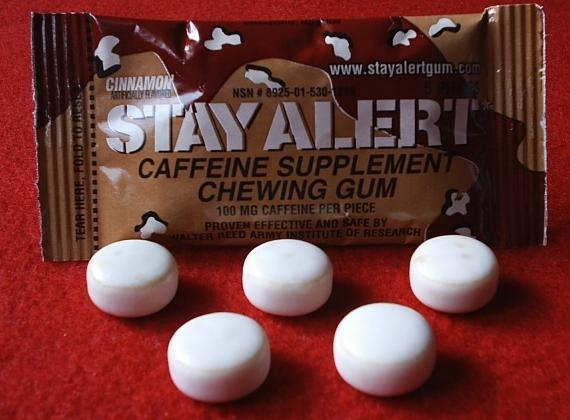 STAY ALERT Caffeine Chewing Gum Introducing STAY ALERT Caffeine Chewing Gum, a new and innovative product used as a fatigue countermeasure and has been developed and approved by the U.S. Military for use by U.S. Troops and Special Forces. Previously only sold to the Military, Government Contractors, Law Enforcement and Emergency Services, this product is now available from carefully selected retailers such as Airsoft Direct. Produced following 6 years of intensive development by the Walter Reed Army Institute of Research this product is the most safely effective caffeine supplement available to combat fatigue and has been clinically proven to improve physical performance, alertness, thinking, and marksmanship when used by fatigued soldiers and personnel. Each packet contains 5 pieces of Cinnamon flavoured gum, each containing 100mg of Caffeine (about the same as a strong cup of coffee) which is delivered into the body up to five times faster than any liquid, food or pill, this is because the Caffeine is absorbed through the tissue in the mouth. STAY ALERT Caffeine Chewing Gum is a compact, clinically proven, fast acting and effective product. 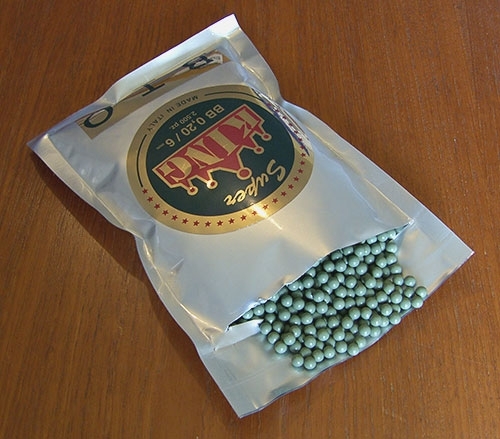 The STAY ALERT formula was also selected by the U.S. Military for use in the brand new First Strike Rations, as used by the Navy Seals, Army Rangers, Special Forces and other front line U.S. Military Units. If you think your readers would be interested in this, a post in your news would be most welcome. Thank you very much for your great help! After 2 days non-stop fixing, the new website is now ready to use. The permanent address is: “www.russianmaniaworkshop.com” , the temp website “bizon.rhinoairsoft.com “is still valid and redirected to my new site. I hope the new environment fulfill what you need. Thank you. It’s been posted about in the foruns, so I thought a quick post covering some of the new items at G&P was worthwhile. First up is the Navy Style Metal Body (B Type) shown below that’s out at most HK retailers. 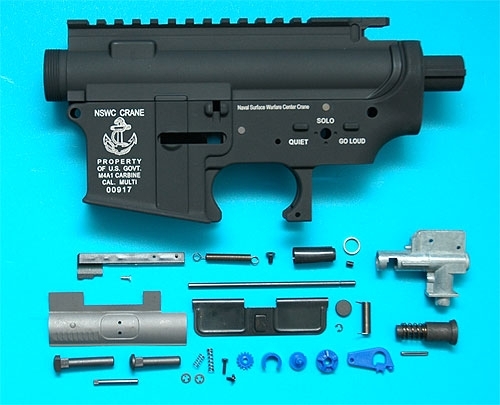 This receiver reportedly allows you to fit G&P’s extended stock without having to modify your AEG.. although you’ll have to fit this receiver first obviously. Not strictly airsoft news, but I will venture to put this here as as I know many on these forums honour the work of Shoei’s master craftsmen and will be deeply saddened. Tomio has informed me that his Father recently passed away after a long illness. He offers his thanks to the airsoft and model gun communities in Europe and America who have offered their support and good wishes to his Father during his illness and to those people with outstanding orders for the MG42 which have been suspended during this time. The master passed away at home in peace with his family on Tuesday night. Shoei will begin machining again after funeral observations and they humbly request customer’s understanding in this regard. May – a month of Chinese airsoft bonanza! It turns out that a lot of new Chinese-made airsoft guns will be released in May. First, RealSword revealed the pricing of their products – with HKD3500 (roughly £225) for QBZ97 and HKD2900 (roughly £175) for Type 56, they reach the price level comparable to Tokyo Marui and Classic Army – which, taking the producer’s claim of “high quality” into account, is not absurdly expensive, as some people expected. Gunner Airsoft has started a pre-order on the new releases from Double Eagle and ARMY – after Tokyo Marui, Classic Army and HFC, the next target for copying by the Chinese is G&G. The Double Eagle UMP will be a copy of G&G ‘UMG’ design, available in the next two weeks with a price tag of £40, while the Army ‘R85A1’ is a copy of G&G L85A1 and should be ready in a month’s time, price estimated at £60. Also, the A&K M249 Mk2 should be out very soon – to recapitulate, sheet steel body, 400 fps velocity and price announced to be around £220 including shipping. The Mk1 and Para versions should follow soon after. 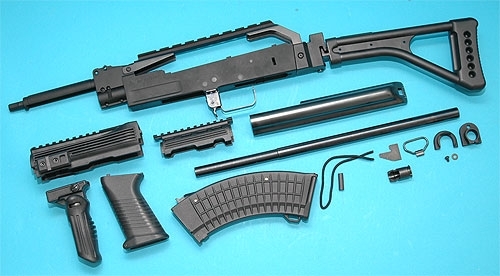 As for the ‘Rumor Mill’ part, the Cyma M1A1 Thompson (prototype of which was displayed at this year’s ShotShow in Orlando) and JLS F2000 should also be released in May. Database fixes: Well so far so good, work went on last night on our hardware and the database, so far after the last batch of fixes and tweaks we’ve had no unexpected errors with the forums. Fingers crossed that is the problem fixed (source). Forum tweaks: As has been posted in a few places ASC announced that they intend to close in three months time which is a shame. Since then we’ve had a lot of requests for site space, team sections and some redesigns. With that in mind we’ve tweaked our sales area design (source). The sales and wanted areas are now branched out to better organise topics and help people find things. Email that over to arnie@arniesairsoft.co.uk and it’ll be added to the big old “to do” list and you’ll be mailed back when your area is complete. 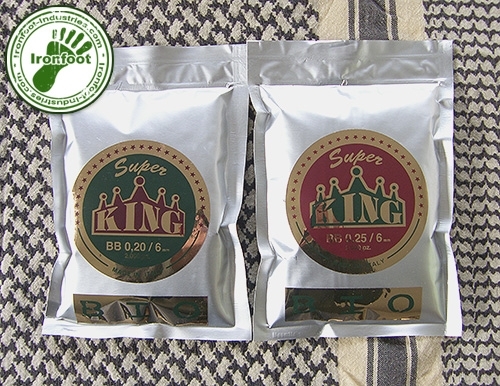 Ironfoot has been appointed UK distributor for Super King Bio BB, with over 3 year experience of using Bios on our game site we have found Super Kings products a worthy successor to our previously used, and currently now unavailable Arte Biotechs. Super King are available in several different colours in 0.20 and 0.25 we tested the rest, and these were the best for quality and performance in our opinion. 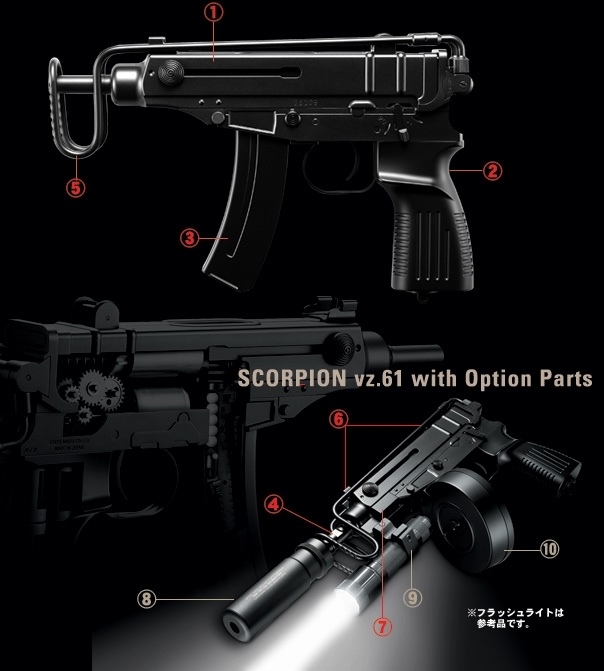 Also coming into stock in the UK around the 6 th of May we have a limited number of the new Vz61 Tokyo Marui Scorpions. Add on parts are not yet available till later in May. It is very sad that my old account is suspended by wordpress.com… I am forced to use my old domain now to continue the service. It is very painful to set up all the things again, but I will try to resume everything asap. At this moment, I can still accept new order as usual. So, I am still here, I didn’t vanish, don’t worry for those who already paid for your order. :) Keep our finger cross! This is an update in relation to the problems we’ve been having with mysql lately (the database behind the site). The technicians can’t pinpoint the problem, but it seems that the most likely problem is a faulty memory card or a problem with the hard drives. With this in mind I’ve asked them to do these checks for us. At the moment I’ve asked them to pull the rack around 0200 GMT in the morning. This will result in the server being shutdown safely, physically pulled out of the shelf and then diagnosed by a technician. Hopefully we’ll find it’s a memory card that simply needs replacing. I will update with some news here as soon as I know more. Update: Downtime 0200-0400 GMT confirmed for maintenance. Server will be offline and disconnected for this period for extended tests. Update 1111 270407 GMT: Complete hardware check carried out, as a test I’m now recovering all data in our larger tales to new files. We’ve got a complete backup, but as the tables keep corupting themselves without warning a complete data check is in order. This may take a while please be patient. Forums disabled whilst this check is carried out.